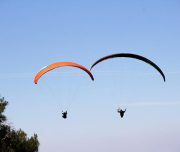 Thinking about What to do in Santa Pola in your holidays? 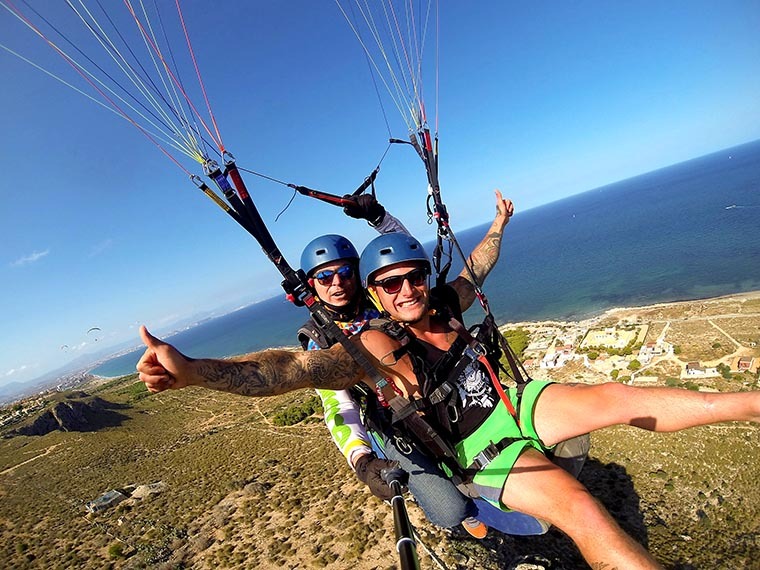 Tandem paragliding in Santa Pola Spain. 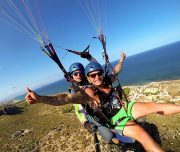 Come flight tandem paragliding in Santa Pola Spain with us, make your dream come true. 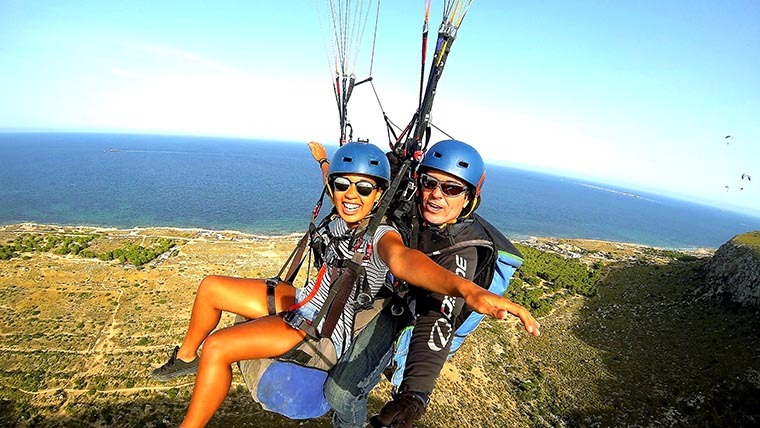 Soar over the most beautiful landscapes of Santa Pola, it will be the highlight of our holiday. 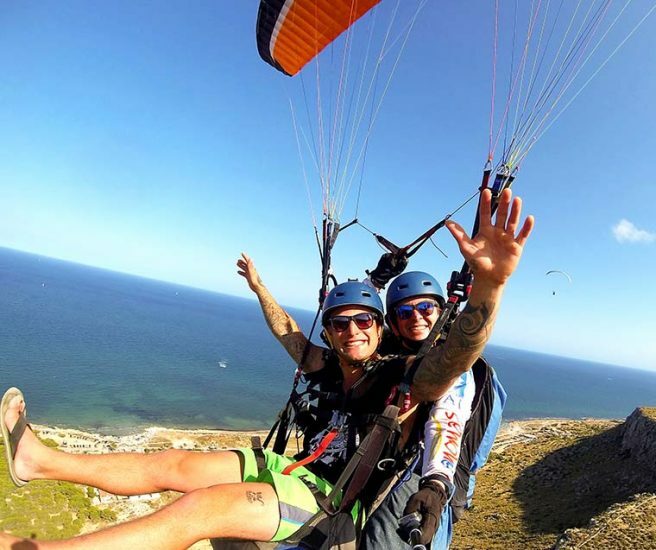 Tandem paragliding in Santa Pola Spain it’s your pack. 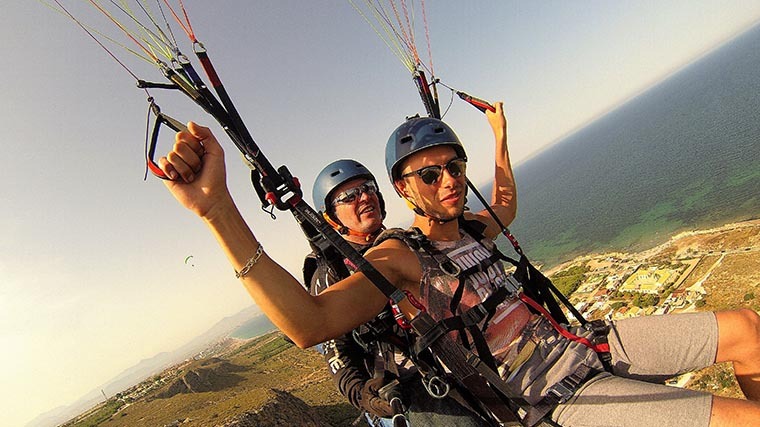 Tandem paragliding in Santa Pola will show you Alicante in all its splendor. 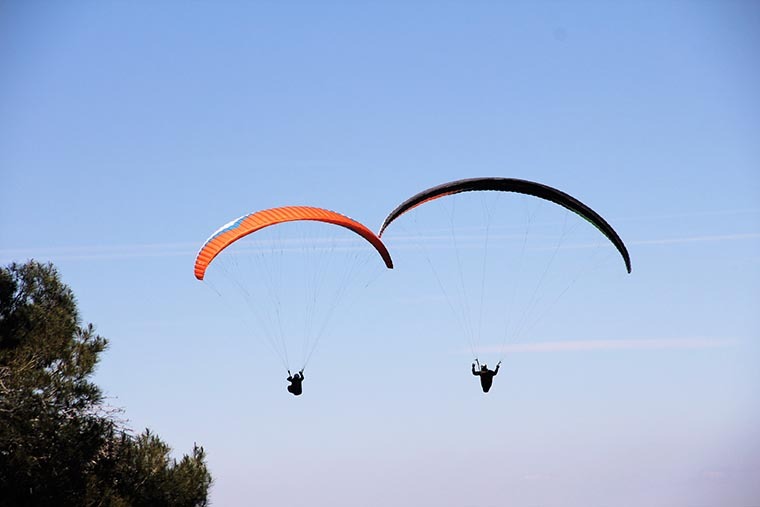 Have you ever dreamed of flying like birds, then tandem paragliding in Santa Pola it’s your activity. 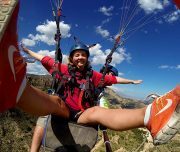 Tandem paragliding in Alicante we flight in three different places depending on weather conditions, in Santa Pola (coast line in Santa Pola) and in Palomaret (close to Alicante). 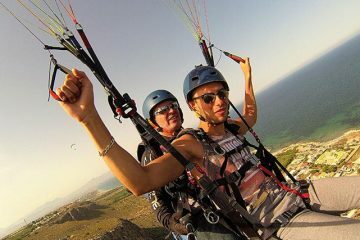 Tandem paragliding in Alicante Spain flight last between 20 to 30 minutes. 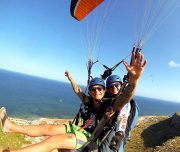 Sometimes the flights are longer than the average, sometimes a bit shorter, but if we don’t fly the time we go for a second fly. Bring some good footwear (sneakers, running shoes), something that can give you good ankle support. as you are required to do a short run on take off. How to prepare for takeoff, during flight and for landing. 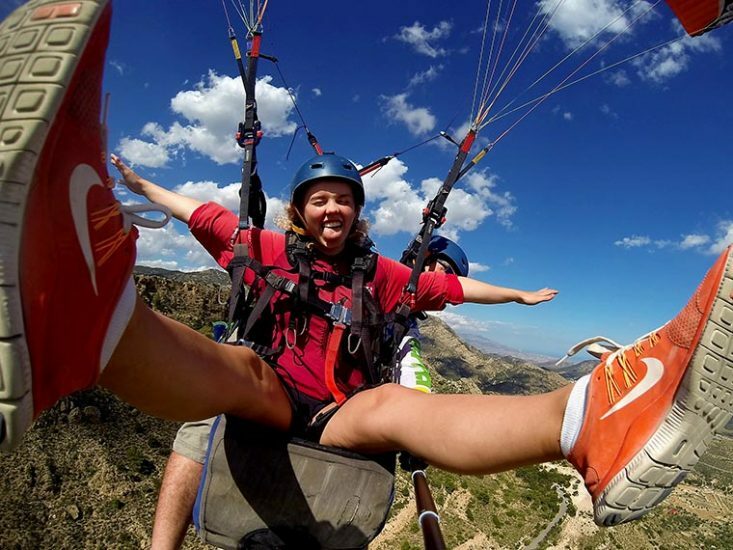 Tandem paragliding in Alicante Spain it’s around 4 hours for the round trip. You just can pay our day trips by Card, Pay Pal, or just at the meeting point. We had an amazing day With Juan and Maria. We had the full pack and they picked us up and we had a bit theoretical convercation in the car before we got there. Juan is amazing with people and i felt really safe. The flying part was also really special and nice. All in all a good expirience.